New on Utomik: Chroma Squad, Another World and more! 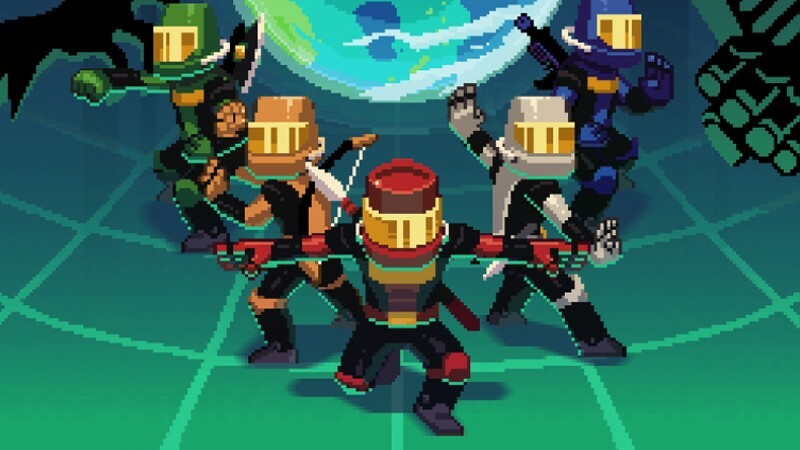 “Go go, Power Ra...Chroma Squad!” This tactical RPG with a layer of management sim has you manage a cast of stunt actors that want to start their own Power Rangers-inspired TV show. Fashion costumes and weapons out of duct tape and cardboard to take on the bad guys in every episode you produce. It’s the Power Rangers game you never knew you wanted! Experience the 1991 cult classic adventure platformer Another World - 20th Anniversary Edition like never before with HD graphics and fully remastered sound, while staying true to the original design. It's not about the destination, it's about the journey in Caravan. Go on mystical adventures with your caravan through the Arabian Peninsula and meet strangers, trade goods, and fight against dangerous bandits. Yrminsul is a fast-paced tower defense game in full 3D. Grow your infamy to build more defences and unlock new powers to crush the forces of good! Tisnart Tiles is not an ordinary match-3 game! There are many surprises and twists along the way. Deal with rotating tiles, earthquakes, and gravity as you try to complete each of the 120 levels.